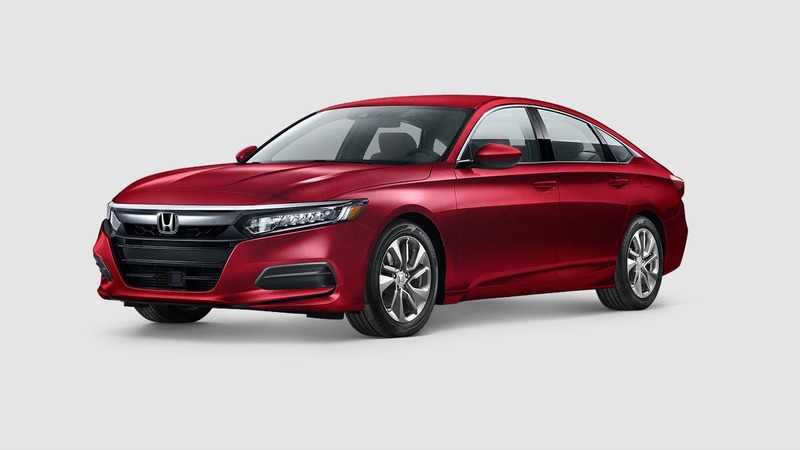 The 2018 Honda Accord is a sophisticated sedan that continues its reign as a favorite among drivers. U.S. News & World Report praises all that the Accord offers and notes, “it has two peppy turbocharged engine choices, engaging handling, and a smooth ride.” It’s available in seven trim levelsincluding a Hybrid model, so drivers can select the level of features and equipment that’s right for them. And with several exterior and interior color options available, drivers can further customize their Accord to reflect their personal tastes. The first three trim levels are available with cloth seats and the top two models feature leather interiors. The 2018 Honda Accord has been a legend on the road for generations. Building upon its reputation for offering drivers high-quality features and equipment, reliable and versatile road performance, and excellent fuel economy, the Accord continues to bring excellence to an affordable price point. The 2018 model features more interior equipment that’s standard compared with competitors in its class. Inside every Accord model you’ll find equipment such as dual-zone automatic climate control, push button start, and the Honda Sensing suite of driver-assistive technology features which include systems that warn, prevent, and mitigate incidents on the road. Learn more about the 2018 Honda Accord by contacting us or by visiting your nearest Central Illinois Honda dealer. Explore our current offers and sit behind the wheel to experience the Accord first-hand with a test drive today!